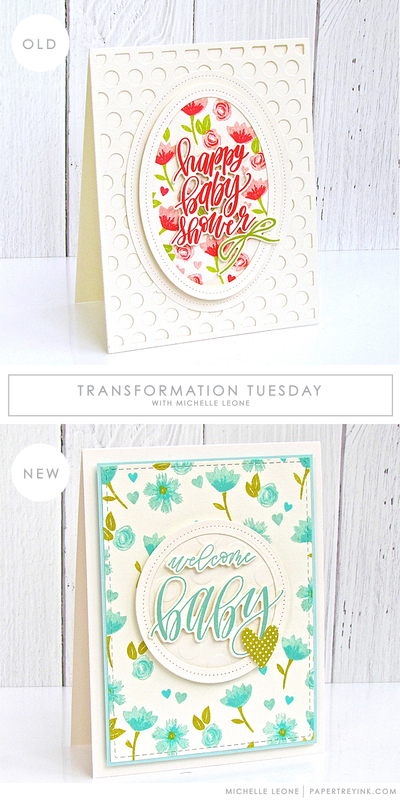 Join Michelle Leone today as transforms a baby card with a new layout and colors. *Please note that our challenges have been moved to our weekly Win It Wednesday blog feature where a variety of challenges are posted! Just delightful! Both of them. Love your style and this encourages me to make some pretty floral backgrounds! Thank you!! I just love baby cards. They are my favourite! And the floral’s are so pretty! I love them both. I just love baby cards. They are my absolute favourite! And the floral’s are so pretty! I love them both. Both are beautiful but the sentiment really stands out in the second one! Love your style, Michelle! So lovely! The flop from flowers to polka dots is so fun and the texture is delightful! I just got this set, and after seeing your beautiful cards, I can’t wait to ink it up! 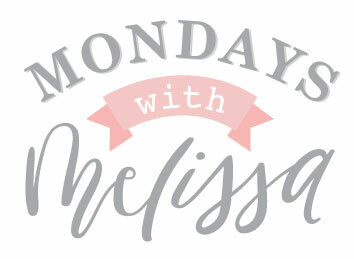 I love your style, Michelle, and your posts are delightful! The Vintage Cream Linen is gorgeous (how did I never notice that shade before?) and your colors are lovely together. I love both cards, but I have been in a blue mood so I just love the new one! 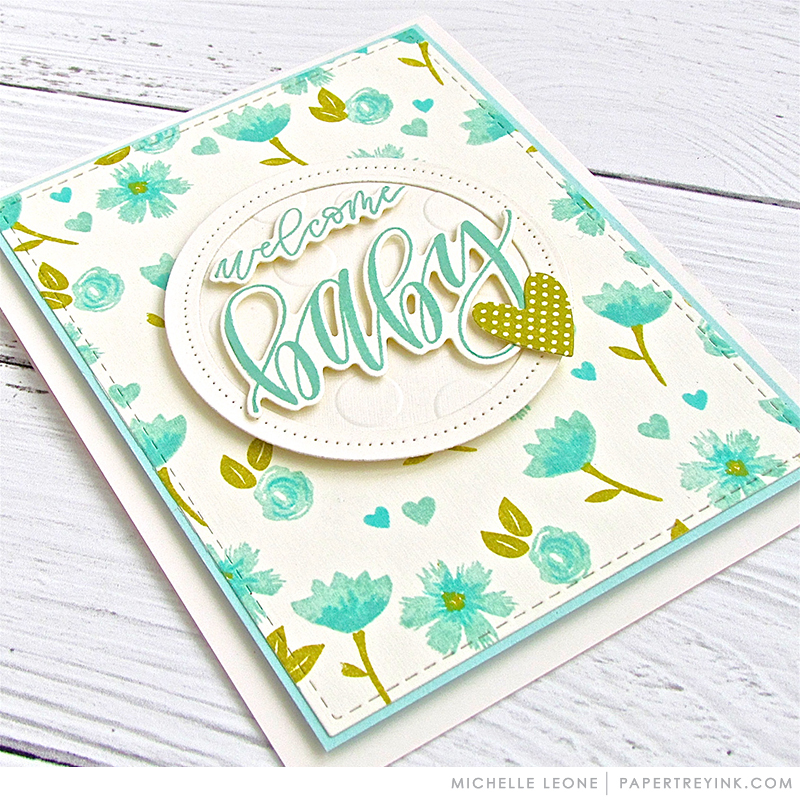 Gorgeous cards, Michelle! I love them both. Checked the new challenge page & don’t see anything about Transformation Tuesday. Am I missing it? Both cards are beautiful, Michelle, but prefer the second one because the sentiment steals the show with the light circle.